Building the present on the basis of constant nostalgia could drive a person or even a society mad. If we consider the specific case of Cuban contemporary art, some of this nostalgia has been destroyed with the return of works by key Cuban artists of the last few decades to the country’s galleries. We are very lucky to have had three such events take place during the second week in April: twice at the Wifredo Lam Center and once at the Museo Nacional de Bellas Artes: the work of Agustín Cárdenas, Ricardo Rodríguez Brey and Tomás Sánchez. 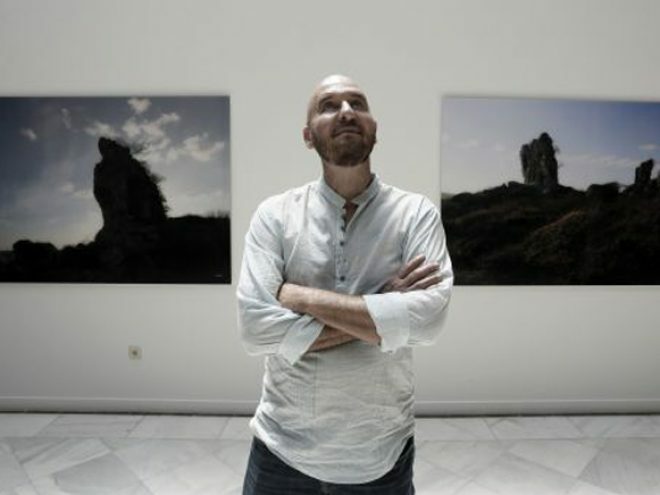 Tomás Sánchez’s absence has given rise to so many myths that they cannot be dissolved either with his presence or his artwork. This artist (born in 1948 in Aguada de Pasajeros, Cienfuegos Province) is amongst us again here in Cuba with his work and definitely with his spirit. His show called Notas al paso opened at the Wifredo Lam Center on April 10 at 5 p.m.
After more than 20 years without a show in Cuba, he is exhibiting his large-format photography, allowing us to view the level-headed lucidity of his soul. It was this lucidity that made its mark on the landscape from the 1970s, revitalizing a genre that seemed to have been extinguished in the monotony of its own rhetoric. In his oeuvre, Tomás makes it quite clear that there is no valid landscape today that cannot return to viewers the internal strength of its creator, their moods, conflicts and above all their beliefs. It magnifies this milieu, providing refuge for our eyes. Many consider Tomás Sánchez to be one of the discoverers of this Island; nobody else has been able to express its secrets so exactly, or to show the delightfulness of rural landscapes with the minimalist touches that he masterfully transforms into powerful details. His images revel in verticality, transmitting the sensation of ascent with a full sensual range. These photographs being exhibited in Havana focus on the sea in its conversation with the shore. We see the effects of foam crested waves crashing into the brilliant white sand, immortalizing eternal conflict. Gigantic rocks look like small islands where singular vegetation flourishes. Tomás’ lens returns to such scenarios again and again, seeking out new relationships that establish a counterpoint with the unfathomable permanence of the sea. This show presents us with the artist’s most recent work—images taken on Cuba’s northern coast and in Costa Rica. He will be returning to these locations with blank canvases over the next years to transform the current photography into amazing paintings.